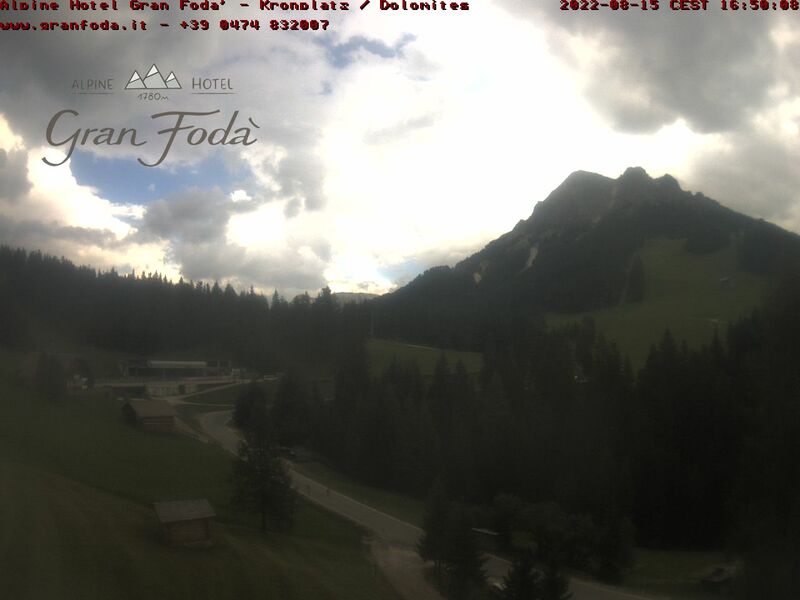 The brand new ski-in ski-out Mountain Inn/Hotel GRAN FODÁ has direct access to the ski run/slope and is located few meters from various hiking trails and different mountain-bike downhill-tracks, in the heart of the holiday region Kronplatz - DOLOMITI SUPERSKI & DOLOMITI SUPERSUMMER. A few meters further you will find the ski gondola "Ruis", open in winter and in summer, which leads directly to the top of Kronplatz/Plan de Corones, where you can operate various leisure and sports activities. There is also placed the MMM-museum of the famous mountaineer Reinhold Messner, designed by the famous architect Zaha Hadid. Other lifts like Prè da Peres, Rara and Col Toron are in the nearby. Our hotel can on the one hand easily be reached by car, on the other hand it is surrounded by nature, good condition so that body and soul can well come into line. Looking out on the southern side, the view reaches the magical world of the Dolomites, an UNESCO Natural World Heritage, which provides a scene of tranquility and peace. Kronplatz has been awarded as the best ski resort from the Alps! Tuesday 15th january 2019 the ladie's AUDI-FIS-SKI-WORLD-CUP will take place! 15th + 16th july 2019 the yearly stop of the Transalp Tour cycling race will take place in the nearby village S.Vigilio in Marebbe. Sunday 21st july 2019 the KRONPLATZ MTB KING will take place! Saturday 24th august 2019 there is a concert of Jovanotti at Kronplatz for the JOVA BEACH PARTY 2019! - Outdoor garden with panoramic-benches, -tables, -chairs, -deck chairs, relaxation terraces, kneipp-biotope, useful also as plunge pool. The surrounding nature with all its flavours gives us a feeling of freshness, purity and genuineness. Along with a healthy breakfast this helps if desiring to live a day full of energy in practicing sports or other activities. We are serving our guests food that comes with the mark "Quality South Tyrol" trademark, which stands for its South Tyrolean origin and tested quality of agricultural local products. Our chefs have grown up in the area and have learned the art of cooking locally in an early age from their grandmothers. They will prepare recipes that are not only delicious, but also healthy! There are various opportunities in practicing sports within the beautiful landscapes, in total harmony with the dreamful nature. Our building is classified with the ClimateHouse "A" seal, which guarantees comfort and welfare.